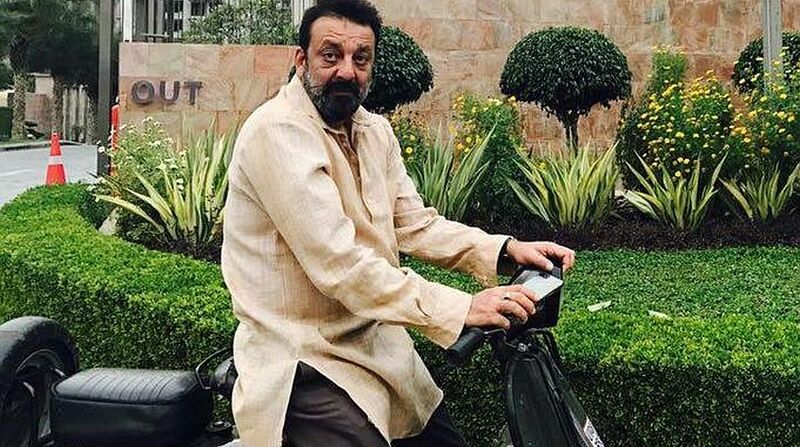 In what could give nightmares to Bollywood actor Sanjay Dutt, the Maharashtra government on Thursday informed Bombay High Court he could be sent back to jail if prison rules were flouted for his early release last year. "If there are discrepancies (in the remission and subsequent early release) and we realise that rules have been flouted by the state in the Sanjay Dutt case, then we will send him back to jail," Advocate-General Ashutosh Kumbhakoni told the court. He also said the actor was not given any preferential treatment in the matter, but if the court disagreed, it could order hm to be "sent back to jail." The comments came at an ongoing hearing in a public interest litigation before a division bench comprising Justice R. M. Savant and Justice Sadhana Jadhav. However, the judges observed that they do not have any intention (of sending Dutt back to prison), but wanted to reaffirm whether the due process of the law has been followed or not. "We do not want to set the clock back in time," the bench said. The latest development came during the hearing of a PIL filed by activist Nitin S. Satpute challenging the actor's release from jail in February 2016, eight months before his sentence was due to end, on grounds of good conduct, by the Yerawada Central Jail, Pune. On July 17, the state government had submitted its report to the high court saying the actor was granted paroles for his his good behaviour, discipline, participating in various institutional activities like physical training, educational programs and completing allotted work on schedule. The court has sought to know the basis and criteria for his remission on good conduct, how "good conduct and behaviour" are ascertained as he was granted repeated paroles and furloughs during his incarceration, something rarely permitted to other convicts, and directed the government to file a detailed affidavit on this within a fortnight. Arrested in 1993, Dutt, 57, was convicted in an arms case for possession of an AK-56 army assault rifle which was part of a consignment that was brought to Mumbai prior to the March 12, 1993 Mumbai serial blasts.